In just a few days, it will be exactly one month until the start of fall. So why are we bugging you about your wardrobe now? While we can’t pretend like we too aren’t guilty of procrastinating on our seasonal shopping, how nice would it be for the leaves to change and for your wardrobe to be as ready for the new weather as you are? As such, for those who are ready to finally get a head start on autumn this year, today we’ve rounded up the fall wardrobe must-haves every fashion girl will be wearing next season, from both a trend and essential standpoint. From simple to statement, functional to (maybe just a little) frivolous, we’ve listed everything you need for a stylish season ahead. Shop our picks, starting with the basics, and read about each one below. These are the fall items we all wear year after year, but in case some of yours need an upgrade, shop our picks for each. 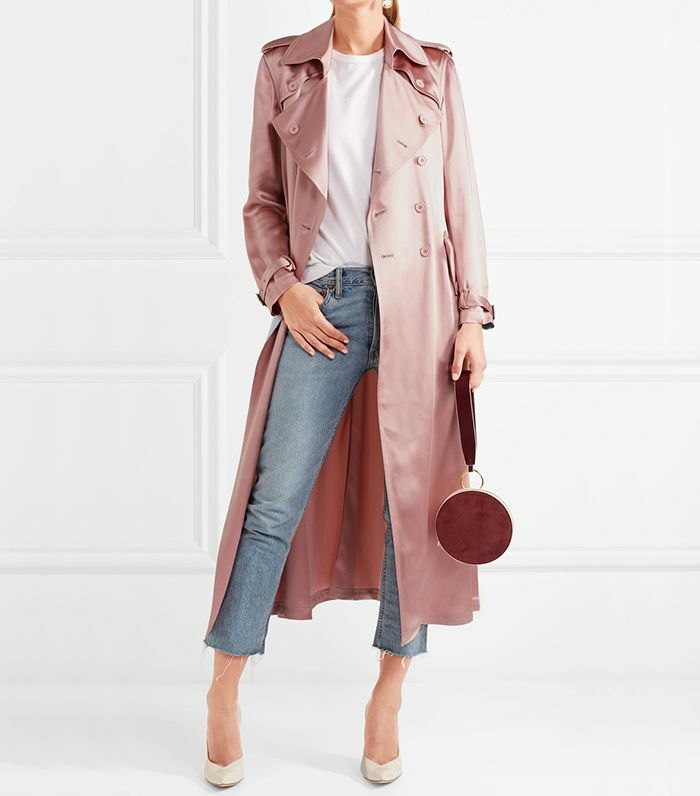 While you may already own a trench, but this one makes us ready to turn in our old ones. We love a light cardigan because you can even wear it as a top. To make all denim your looks instantly fall-ready, swap your blue jeans for a dark or black pair. While spring and summer party attire requires a little more creativity, in fall and winter, an LBD can be worn over and over to different events by simply swapping accessories. We're so excited to bring this beloved shoe back into rotation. If you're looking for a new one and want our advice, opt for a blanket style and wear it like this. No more straw bags for a while. Getting dressed for work is about to become easy again. Now, for the fashion-girl favorites we know will be everywhere this coming season! In the interest of getting ahead, if you don't own any, you might want to stock up now. Whether you opt for a cropped, distressed, black, or statement-sleeve style, take your jean jacket up a notch this season. Move over, off-the-shoulder tops—there's a new silhouette in town. Don't have $1500 to spend on a new bag? Not to worry. It's time for a DIY. Simply wrap a silky scarf (like this $20 one) around the handle of any of your favorite bags. We're happy to see these are getting another season in the spotlight. For fall, we're especially loving statement blazers that can also be worn as tops. Little details make all the difference here. Looking to spend a little less? We also love this under-$50 pair. Corset detailing doesn't hurt either. Okay, maybe you can live without a fuzzy bag this season, but why would you want to when they are this cute?! Fashion girls know how to rock a dark floral for fall and we love it. Were calling it: These are going to be everywhere in a couple months. In the mood for more fall shopping? Here's the affordable collection you'll want to get your hands on next.